We repair, service or maintain your vintage Grand Father or Grand Mother Clock as well as Mantle Clocks, Ship Clocks or any other classic time machine. We Offer House Calls. Call us at 949/498-5214 to set an appointment with our experienced clock Maker. The most common problem with today's watches is the battery dies. We change watch batteries while you wait. Let a true watchmaker with over 25 years of experience change your watch battery. Watchmaker will open the watch using tools specific for your model of watch. (Omega, Rado, Longines, Tag Heuer, Breitling and more)Watchmaker looks for corrosion and gaskets are in good condition.  Want To Learn More About Our Del Mar Watch & Clock Shop?